Something Special but not too mushy? Propose your love with plenty of rose petals and candles! 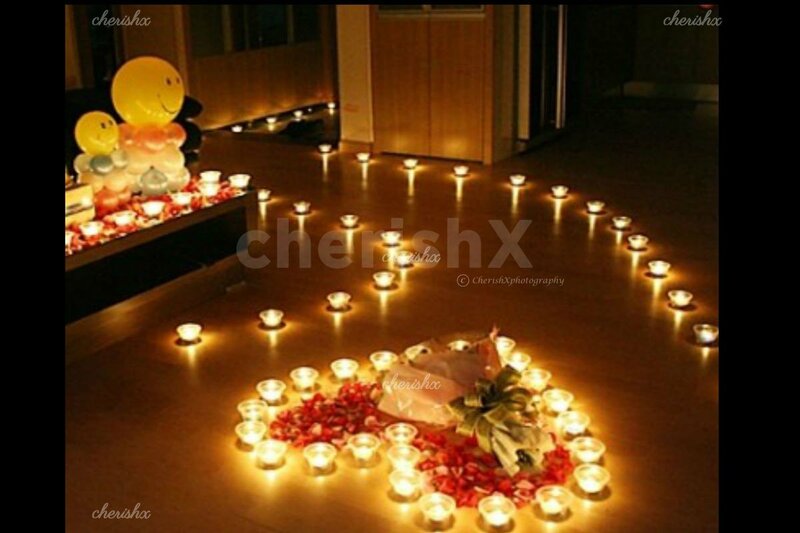 A pathway made of candles and rose petals leading to a heart and you! PROPOSAL is a very special part of anyone's life. So how can you make sure you’re crafting the perfect way to pop the question? Every proposal is special and life changing no matter how grand or simple. We know you want your proposal to bring tears of happiness in her eyes. That's why we have crafted this proposal apt for you to pop the question to the love of your life! A pathway will be made out of candles and rose petals which would lead to a heart. You can have this whole setup ready before your loved one gets home. 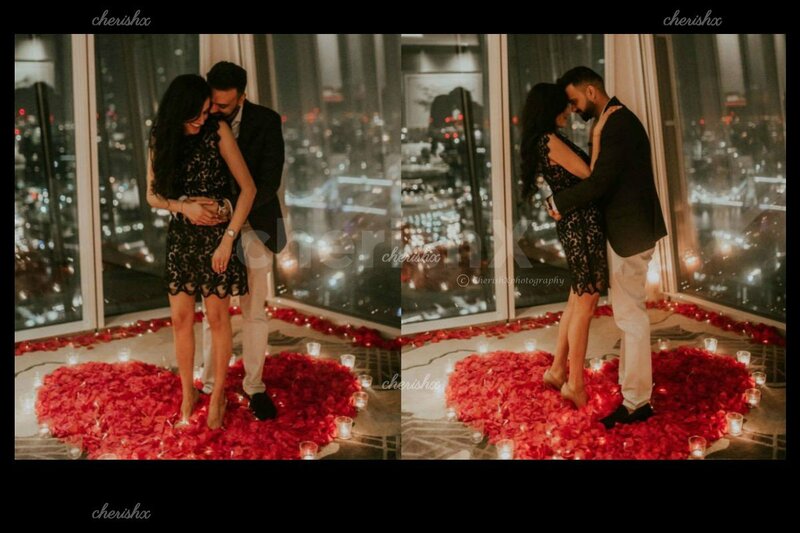 Once she gets home be ready with all the candles lit and of course down on your knee inside the heart shape crafted out of candles and rose petals. You can also add cake, a guitarist, balloon decoration from customisations to make this proposal more special! Add special gifts from customization to make your proposal more Beautiful!